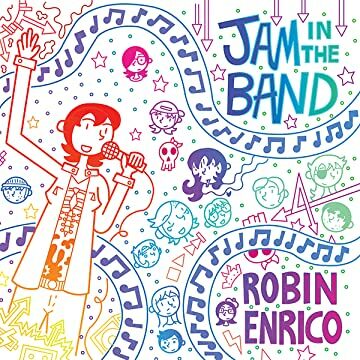 Jam in the Band is the story of the rise and fall of the all female junkrock band Pitch Girl. The story focuses on the tension between the members of the band and the commitment they are willing to make to be successful. Lead singer Bianca is willing to give up everything to make her dream into a reality, while her band mates Tiara and Corbin feel a much stronger pull towards the comforts of home and intimacy. These tensions will start to simmer when Tiara is confronted with her first real chance at a romantic relationship since Pitch Girl became famous. All of this comes to head when the band embarks on an illfated overseas tour. These three young women will then have to try to figure out who they are and what they want as they transition to the next phase of their lives. Told through a collage of drama, interviews, hand held camera footage, diary pages, news reports, music videos, web chats, and punk rock flyers; Jam in the Band is the story of the lives creative people stumble through in their 20’s as they try to live our their hopes and dreams.